With the holidays upon us, I have been working on some fun, easy holiday recipes that will sure to please the crowd. Normally for Thanksgiving, I like to serve traditional dinner rolls, but this year I thought I would change it up and make Whole Wheat Pumpkin Drop Biscuits. My golly these biscuits are so easy to make, and will be a great compliment to any holiday meal, even breakfast. 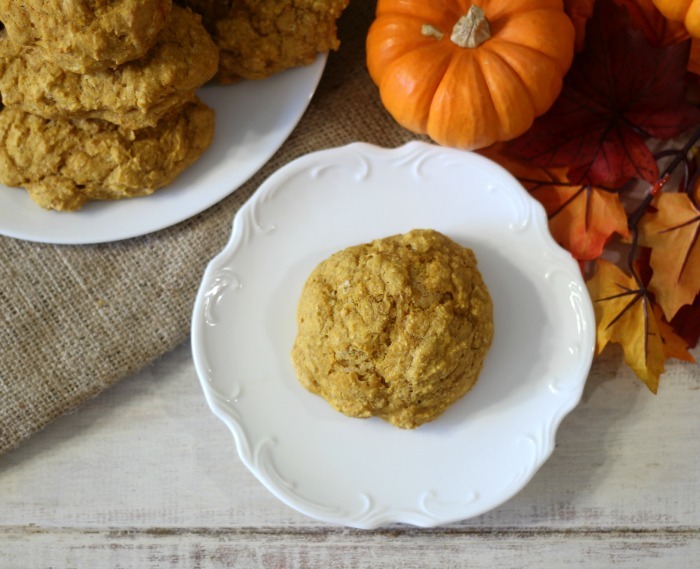 The Whole Wheat Pumpkin Drop Biscuits, are light, fluffy, have an amazing pumpkin flavor and are low-calorie and healthy. You have to love all of that. They would be great served with a cinnamon honey butter or simply just use honey. Using warmed honey really gives these biscuits a comforting feeling, right smack in the middle of your belly. Yum! For making the biscuits I used Bob’s Red Mill Organic Whole Wheat Flour. I like using whole wheat flour because it is more nutritional,full of vitamins, minerals and fiber. Plus it’s a great healthy compliment to add to any baked good that uses all-purpose flour. 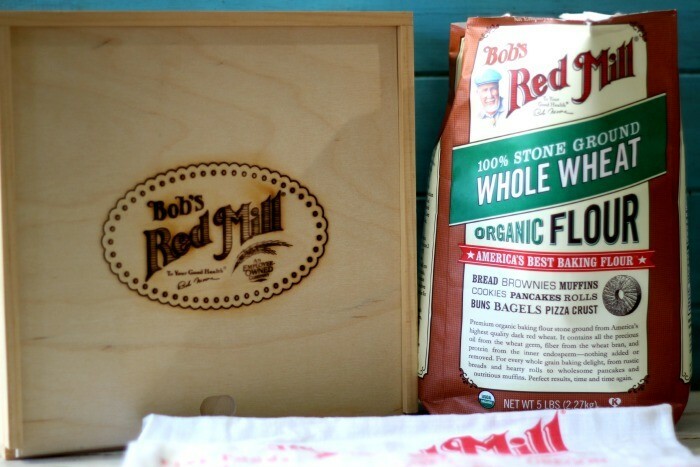 Did you know that Bob’s Red Mills Organic Whole Wheat Flour is stone ground from organic hard red wheat and has all of the nutritious bran and germ still intact. Nothing is lost in the process of grinding the flour. 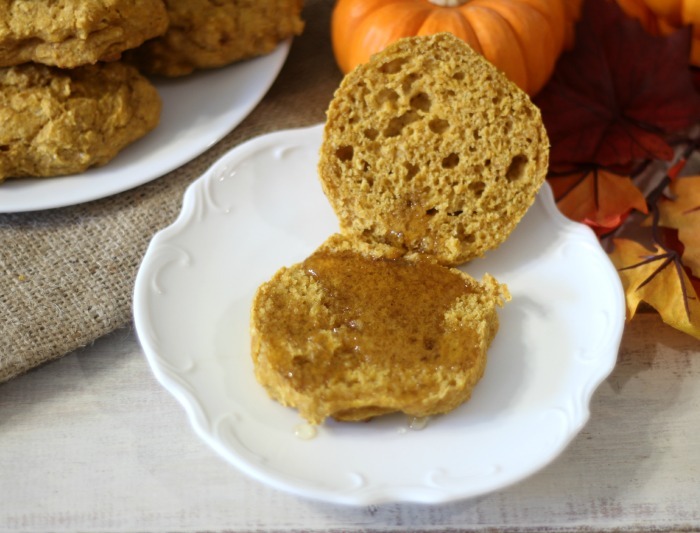 Light, fluffy, easy whole wheat drop biscuits with pumpkin flavor. Serve with honey or cinnamon flavored butter. In a measuring cup add milk and vinegar; mix until combined; set a side. In a large bowl; mix together whole wheat flour, all purpose flour, sugar, baking powder, baking soda, salt and nutmeg. Add butter and with a back of a fork, break the butter until the flour resembles course crumbs. In a medium bowl, add milk mixture and pumpkin. Whisk together until combined. Pour pumpkin mixture into flour mixture and stir until just combined. Do not over stir. Drop about ⅓ cup of batter about 2" apart onto prepared baking sheet. Bake in oven for 12 - 15 minutes, until lightly golden brown. Let cool for 5 minutes, serve warm. Serve with honey butter or a drizzle of honey. I wanted to share with you some a $1.00 coupon from Bob’s Red Mill. Just go here. You can also check out Bob’s Red Mill Website here. 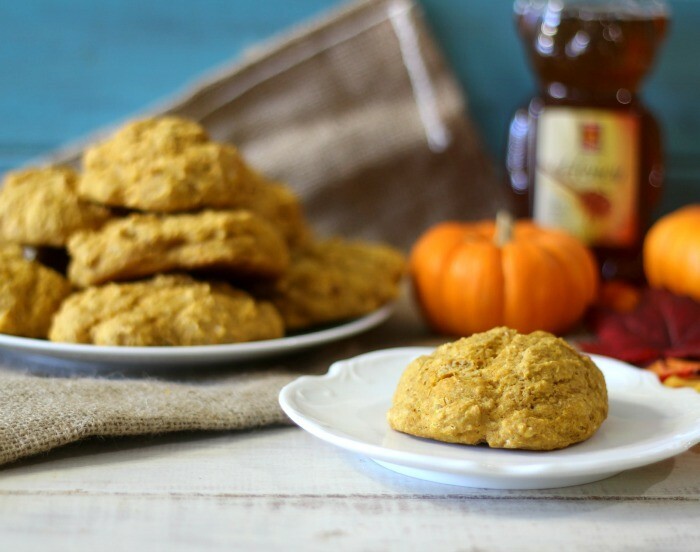 What a FAB idea to add pumpkin to a drop biscuit! MUST try! Thanks Sophia! You know how I love my pumpkin.